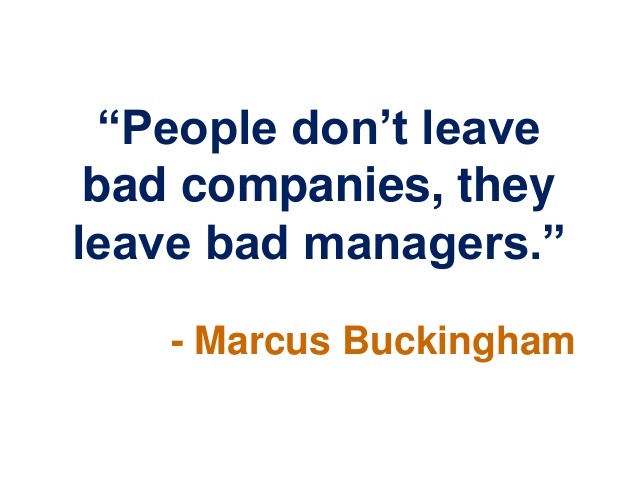 Most managers or company owners would not even consider that statement. Obviously their self-belief has enabled them to elevate themselves to MD status or successful business owners, so how could they be attracting the wrong sort of employee? If any of these resonate even a little with you then what can you do to make changes in your company right now? Perhaps your staff could be good at the job if you let them get on with it without interference. As long as you have provided them with an informative induction to your company, given good clear instruction as to what is expected from them and provided them with all of the tools they need to do the job, then step back and give them the benefit of the doubt. If you are a control freak and many successful people start off that way, you need to let go. Those that are truly successful in business learn the art of delegation early on. If your staffs work slackens off when you are not around then you’ll need to toughen up. Staff need clear boundaries and a protocol must be put in place for all roles. If an employee has clear rules that they have to follow and then do not follow them, you must seriously consider disciplining or dismissing them. If however you haven’t provided them with clear guidelines who is at fault? If you expect senior staff to be available 24/7 then they must be made aware of that at interview. You can’t expect to employ someone and then be upset that they are not taking calls or answering emails at midnight on a Saturday evening, if you haven’t made that clear during the recruitment process. In all honesty, you cannot expect people to have no down-time. Staff are most productive when they have a healthy work/life balance. Just because your business is your world doesn’t mean employees will or even should feel the same. Staff communications issues can be anything from not being friendly with one another to not passing messages on and perhaps not even handing over to their colleagues vital information for when they are out of the office. Simply telling them off and blaming them for not doing what they should isn’t recommended. Some people really need to learn the art of communication and there are plenty of skilled communications trainers out there. Staff not right for your business, then you need to establish that your recruitment procedure isn’t to blame. Often the job description or the manner in which you have advertised for staff is the reason why you’ve not got the staff you want. Obviously meeting with them is a good way to establish if that person can not only do the job but will fit in with your company’s culture. I would suggest doing that by actually consulting the experts. There are really good experienced HR managers and companies out there and also some good recruitment agencies that can offer advice and even take the whole recruitment process off your hands. I would urge you though to do your research, ask friends and other business people in your network who they’ve used and who they’d recommend. Look at those staff that may have damaged relationships with your wider business community or those staff that are consistently not performing, would they benefit from training? As mentioned earlier some good communications training can provide staff with the skills they need to improve both internal and external communications within the company. Also specific job skills such as time-management and prioritising can also be taught, so I urge you not to dismiss people without considering these factors. However, there will always be staff that feel they know better and may just not have the attitude that is required for your business. If you’ve sat down with them and discussed your observations and they still haven’t improved, perhaps you could look to redeploy them somewhere else in the company or bite the bullet and ask them to leave. You may be thinking ok, then how have I affected all of these scenarios? You are always positive, you feel as though you praise your staff for good work as well as berate them for bad work. You communicate to them what needs to be done and how to do it, so none of this is my fault. Mutual respect is a huge factor in productivity and harmony for a company. A manager/owner who is actually interested in their staff, not just their work but their personal life. What they do for hobbies their family etc. Do you really care that they have worked an hours overtime every night for the last month which they will not be paid for because you asked them to complete something? Do you know that staff are scared of you? That they are scared to question a task (which they feel could be done better) because they fear for their job? Telling staff that they have done a great job is one thing, rewarding them for it is another. Yes you do get what you pay for. Let’s face it most people work for somebody else to make money to pay bills and feed their family. They do not have the passion that the business owner has. Not only do the senior staff need to be taken care of but those at the front end of the business who communicate with your potential customers every day, need to be valued. Yes money is part of that value. So to is making them feel like more than just a number who can be tossed away at any point. Allowing them to have input in your company even in a small way with a suggestion box or forum. Giving them the opportunity to grow and learn has to come from you their manager. Maybe just a few small things could improve the situations you are possibly facing every day. Even something as simple as changing your attitude towards your staff.